Please note that we are closed on Saturdays and on the occasional Friday, we advise that you call us on 01254 812010 to inquire or book a table. 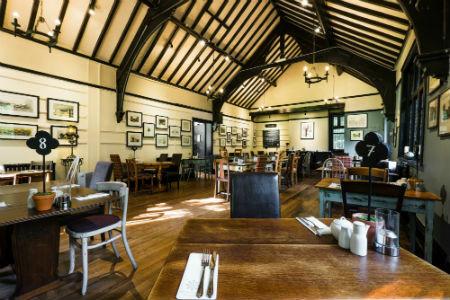 The restaurant serves lunches between 12noon - 3pm, but we can cater for large parties in the evening if required - please contact [email protected] for more details. 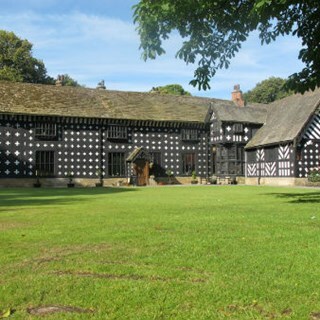 Here at Samlesbury Hall, we believe the better things in life are those closest to home and with this in mind, we insist on only the finest ingredients sourced from our own gardens and neighbouring Lancashire producers.Dishes are seasoned with fresh herbs from the Hall's own Courtyard using our own chives, mint, parsley, thyme, rosemary and bay leaves.Chef selects quality meat daily from butchers in Leyland and Longridge bringing Forest of Bowland lamb, beef, pork, poultry and sausages a mere hop, skip and a jump from there to here. Meanwhile, our seafood takes a similarly short journey from the Lancashire fishing town of Fleetwood. 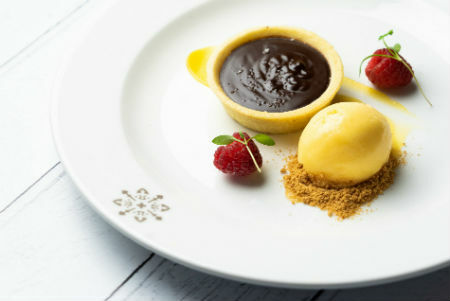 The decision is yours – from tasty, filling soup prepared daily in our kitchen, to a delicious lunch rounded off with a scrumptious chef-made pudding! The Restaurant boasts a comprehensively stocked Bar serving everything from our own Samlesbury Merlot to a pint of Guinness. The choice is extensive – just ask for your favourite! We were really looking forward to eating in your restaurant but sadly we were very disappointed. The service was very slow, waiting 3/4 hr for our ok only food. One waitress was very helpful whilst another appeared unbothered and uncoperative about our wait. We wouldn't have another hot meal at your restaurant again I'm afraid. We had a fantastic night staying in one of the shepherds huts! Kids loved it, especially the fire pit toasting marshmallows! The huts were brilliant, everything you needed for a night away. We visited the hall in the day, loved looking through the different rooms, my girls especially loved Betsy Bumblebee and her quiz! The park was fab and we enjoyed the bees! Slight downside was the breakfast, £29 I though was quite expensive for a full English ( my husband said the quality wasn’t that good and it took 10 minutes for the toast to arrive after his breakfast), cereal was £3.50 for a small box which you can get 8 for £2.50. I know this is where the hall makes money as it’s free to enter the grounds however I do feel if we stayed again I would take my own breakfast and do a bbq because of the pricing. Overall though we had a fantastic stay and would definitely recommend and return! We all enjoyed our meals very much. The lamb shank was delicious, the shepherd's pie was very tasty and my friend said the red cabbage was perfect with it. The pie was a real pie, not a stew with a hat! We appreciated being asked if we would like a jug of water for the table, but being given pint glasses was rather amusing, especially for my diminutive mother. Thank you for a lovely meal with good service. Fabulous stay in the Shepherds Huts to celebrate my Dad's 80th birthday!! We ate at the restaurant at lunch time the menu was super and the food delicious. We were looked after very well by the waiting on staff. Our stay in the huts was fun and comfy; we really enjoyed the opportunity to use the outside fire pit. The tour of the Hall by "Witchy Jane" was the highlight...she was fabulous and had us in fits!! Breakfast in the restaurant in front of a roaring fire was fabulous and set us all up well for the day ahead. Absolutely fantastic service. Very friendly staff, who accommodated our needs without any issues. Only negative was that staff forgot to bring our scones but we took them home at the end and they packaged them up for us willingly. An enjoyable afternoon at my future wedding venue thanks to its amazing staff and attitude. Booked on line very easy process. We were a group of six and the food arrived with big gaps between, so some of us were waiting with hot food in front of us for the last person to have his food arrive! This was easily 10 minutes. We were not impressed especially as his meal was missing the third item of fish. The food was reasonable but not especially tasty and the new menu was poor. Staff were very apologetic - it was the kitchen who were not coping. We will not be visiting the restaurant again. First ever visit to Samlesbury Hall. Excellent afternoon, lunch in the restaurant, food delicious. A walk around the historic Hall and beautiful grounds. We had afternoon tea in the restaurant and enjoyed it very much. 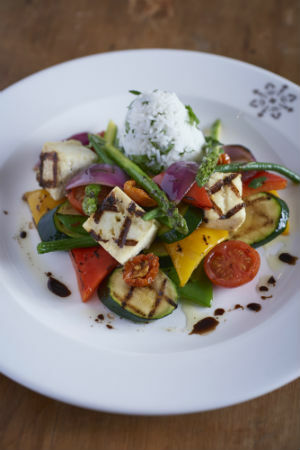 The staff were very pleasant and attentive and the food was good. Would definitely recommend and return. Service was appalling, left 2 hours after our booking time having not eaten the food we ordered. Would not recommend. Fantastic family breakfast - arrived to a very welcoming roaring fire, we were quickly served with hot drinks... Full English breakfasts arrived shortly afterwards and I would say it's the best breakfast we've ever had! Can't believe we have such a beautiful  place to eat right on our doorstep, we will be back to try lunch or afternoon tea very soon. Beautiful venue - which is steeped in history and very atmospheric. We had a fantastic Afternoon Tea ... the freshly made scones were delicious! Treated my mum (a belated Mother`s Day treat) to iafternoon tea. Both the ladies in the restaurant  were lovely- and very professional. The lady who served us really looked after us! Thank you. The food was delicious and excellent value for money. We will definitely be back. Second visit for lunch. Very good food, great service and vegan options. 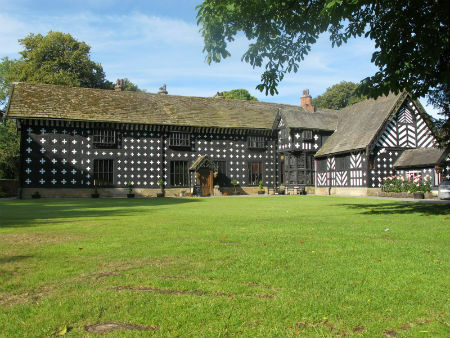 This was our first visit to Samlesbury Hall, and as such we obviously picked a 'bad' day. It was Mother's Day and therefore far too busy, but we thought it would be a lovely experience. Firstly we thought we'd booked for the Restaurant, whereas we were shown to the bridge - nothing more than a corridor. I felt this was just not acceptable for Sunday Lunch, so they managed (very nice pleasant staff) to find a table in the Den. A little better than the corridor - for atmosphere - but hardly what we were expecting for this grand Hall. The starters and desserts were very good, but our main courses lacked in flavour and 2 types of potatoes on one dish? Would have expected another type of veg maybe, rather than so much potato. Overall the staff were very good, exceptional considering the amount of people there - far too many people being packed in for both afternoon teas AND Sunday lunch at the same time?! That wasn't good organising at all. If we venture back there it will not be on a special day, if we want a special experience. I brought my parents here and after we had looked round the hall we had lunch in the restaurant. 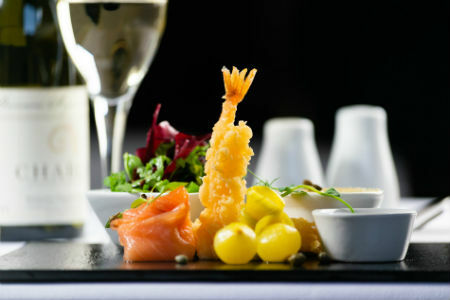 The food was very good and the surroundings lovely. My parents enjoyed the entire day. Would highly recommend this place. Began the day there with a very good breakfast followed by an interesting and informative talk in the great hall about the halls past and characters that have lived there, before spending time exploring the hall. The grounds are extensive and take you past the free range hen houses to the bee building. I was a tad disappointed in that, being a beekeeper for a good many years, I didn't believe they are being looked after as they should and wonder about the experience of the beekeeper. With lots of dead bees around the hive entrances that should be looked into as to why. Overall though it is well worth a day out, with lots to see and do. Lovely food. Great service. Portions a little on the small size. Really lovely day. All the staff were really nice and friendly. Will definitely call again when in the area.